I’ve had cause, recently, to take stock. This has, for the most part, taken the form of perusing shoe-boxes full of old tat. Some of it to do with my career as a stand-up comic (more of that here) such as the rotor arm from my much loved Ford Granada 2.8 V6 injection – the roadside repair that got me to a gig at Cardiff Jongleurs, fashioned with an AA man’s soldering iron, still plainly evident. It’s rather belated, I know, almost fourteen years in fact, but a big thank you to the Automobile Association. Especially to the technician who refused all attempts at financial reparation, instead producing a camera from his toolbox and insisting we have our photograph taken together – in the rain, on the hard shoulder of a Welsh motorway. Thanks for getting me there, mate. I simply couldn’t have died on my arse that night without you. Another relic from the same box is in the shape of a rather heavy, but very cheap, chrome bracelet with a curved nameplate. On the visible side, the name of a young love, Corinne – on the reverse, my own. I believe this was one of a pair – the other worn, for an equally short time, by her. My abiding memory of Corinne was standing in a telephone box in Plymouth, soaking wet from the Atlantic storm raging outside. We steamed as we shared the earpiece and listened to the cries of my fiancé, in Liverpool, as I broke off our engagement. Her name was Cecilia. We lost our virginity together, in my mother’s bed, never to find it again. I loved Cecilia dearly, but she was seven hours away by train and I was desperate to get into any bed whatsoever, with anybody whomsoever, and Corinne was standing next to me – soaking wet, and steaming. I’ve thanked the AA, so perhaps, too, an apology is longer still overdue – I’m sorry, Cecilia. I really am. In mitigation I was three weeks away from being seventeen years old. Anyway, most of the space in these boxes, once taken up by shoes, is occupied by photographs. None of Corinne or Cecilia as it happens – I know this as two months ago, in another hemisphere entirely, I ploughed through each one, mentally documenting their contents before packing them away, ready for transit. It’s why I’ve searched through packing crates to find them, and I’m again ploughing through pictures of people long dead with names long forgotten, family shots mixed in amongst old forces photographs, and pictures of literally hundreds of comedians in innumerable green-rooms in unmentionable clubs. Right now I’m looking for one photograph in particular, one that I saw two months ago? I’m sure it was in this particular box? It’s not that it has relevance to the piece, which was meant to be loosely based around the theme: ‘Can I have my photograph taken with you?’, (Sorry, I’ll do that later, now) it’s just that I thought of it – the photo, that is – and now I have to find it? It’s a childhood photo taken when I was seven, possibly eight. In it I’m holding a Jam Jar and in the Jam Jar, a goldfish, both recently acquired at a local fairground utilising a – until then unknown – talent for throwing three darts into a barn door. The reason my interest has been piqued is that it must be the last shot of a goldfish in a Jam Jar before the great paradigm shift occurred and the iconic Jam Jar was consigned to history, replaced forever by the onset of modernity and the introduction of the Clear Sealed Plastic Bag. How this must have blighted the Jam Jar manufacturing industry is anyone’s guess. How many workers, families of workers, generations of families of workers, were to be torn apart within the space of one summer to another? None, perhaps, but its effects on Goldfish rights were to be immense: gone were the pressures to carefully return your Goldfish home, unsullied and unspilled, to sit on the kitchen window to be studied and stirred with a spoon before death by overfeeding. Now, in this new commoditised, throw-away world, your golden fair-ground winnings could be cast into a Nike sports-utility-back-pack and, after accompanying you on numerous fair-ground rides, be thence transferred to a bedroom cupboard or drawer were said goldfish would wait, caterpillar like, to be magically transformed, over a period of weeks, or occasionally months, into a bag of milk. I preferred the Jam Jars, and I’m sure the Goldfish did, too. At one summer fair – it was the year before the lost photo was taken, I believe – I watched helpless as three darts flew through the air as if in slow motion. I knew almost before they left my hand that they were heading in a direction other than the intended target. The fact that I’d thrown all three in one go did nothing to allay the suspicion that they were intentionally aimed at the Copper standing on the far side of the stall. To avoid any such confusion I grabbed my little brother by the arm and ran like hell. We returned later to try again only to find the stall owner in great fettle and overjoyed to see me. So much so he presented both myself and my little brother with a free Goldfish each. His died first. I knew it was his as mine had a small black dot on the edge of its fin – not fin-rot, you understand, more of a fishy birth-mark. I’d noticed it early on and said so, out loud, and in front of adults, “Mine is this one with the little black dot on its fin!” We’d agreed and shook on it. So his was dead, and mine was alive. I had the unenviable task of waking him and telling him that his Goldfish – definitely his Goldfish – was dead. Floating on the surface of the water. Dead as a Jimmy Nail. It was without doubt the greatest moment of my life. His was dead. Mine was alive! It was better than losing my virginity – it really was, sorry Cecilia, that was brilliant, really, honestly, truly brilliant, and beautiful… truly beautiful – and thank you – but this was better. His was dead. Mine was alive! Strangely, the following morning, my goldfish, obviously pining for its overfed companion, committed suicide. It had, quite bizarrely, leapt out of the Jam Jar, soaring a full three feet before impaling itself squarely onto a kitchen fork. I wouldn’t have believed it had my little brother not seen it with his very own eyes. A fleeting moment of joy at the misfortune of others, dashed onto the rocks of sadness. Sometimes we get what we deserve. 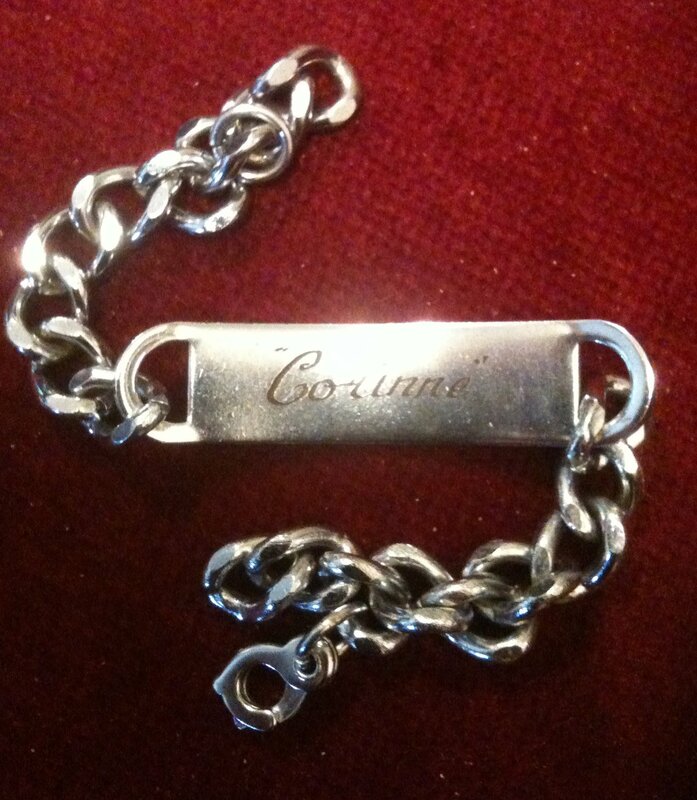 I got Corinne and a bracelet – I hope Cecilia got the money back on the ring? Ps: This post went somewhere else other than where it was supposed to go? It was meant to explore the background to the upcoming Photo Album shot from the Cassini Space Probe to take place on the 19th July 2013, recreating Sagan’s famous Pale Blue Dot shot from Voyager 1. I’ll post the shots of both in a short while. And I’ll revisit the original idea over the next week or so.